Last year too, there was a similar kind of a tournament and some of the Indian players shined on the foreign soil. BCCI has announced to reward cricketers who will impress them. It will be interesting to see how they would go with Dhoni remains the person impressing majority of the time. Dhoni will take series as an opportunity to check out the players who will have a better future career in international cricket. He would not make winning all the six games seriously and will check on his decision of no-need-to-change-a-winning-team plan. Thus, it will give a chance to Karun Nair, Jayant Yadav, Mandeep Singh, Faiz Fazal, Yuzvendra Chahal, and others to impress with their performances with bat or ball. It will be a major tournament for Indian skipper as he is playing this tour to find the best young players who have been included in the squad. It will also give him the chance to shut up all those who are adamant on making Virat Kohli as the captain in all the formats of the cricket. For Zimbabwe, this is a great opportunity as it will bring in huge money and they will play against one of the best cricket team in the world in their backyard. The Zimbabweans weren’t able to impress in the WT20 and thus will look forward to winning at any cost. Series win in the ODI or T20 looks tough for Zimbabwe. Thus, a win or two will boost their confidence and will decide how they go forward to build a tteam to compete with big teams. Zimbabwe will have to reflect quickly and re-arrange the team as their captain Hamilton Masakadza, and coach Dav Whatmore has left their positions. After that, Graeme Cremer was named the captain and Makhaya Ntini as the new coach. 1st ODI: India v Zimbabwe. Time: 9 am local time (12.30 p.m. IST, 8 a.m. BST, 3 a.m. ET). 2nd ODI: In vs Zim. 3rd ODI: India vs Zim. 1st T20: Ind vs Zimbabwe. Time: 1 p.m. local time (4.30 p.m. IST, 12 p.m. BST, 7 a.m. ET). 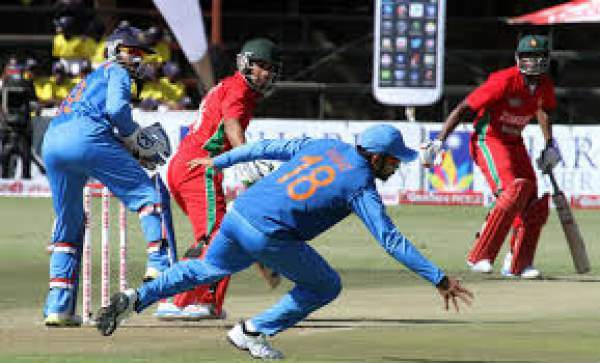 2nd T20: Zimbabwe vs India. Time: Time: 1 p.m. local time (4.30 p.m. IST, 12 p.m. BST, 7a.m. ET). 3rd T20: Zimbabwe v India. Time: Time: 1 p.m. localtime (4.30 p.m.IST, 12 p.m.BST, 7 a.m.ET). India: Ten 3 and Ten 1 HD. USA and Canada: Willow TV. First ODI Match 11th June, 2016.